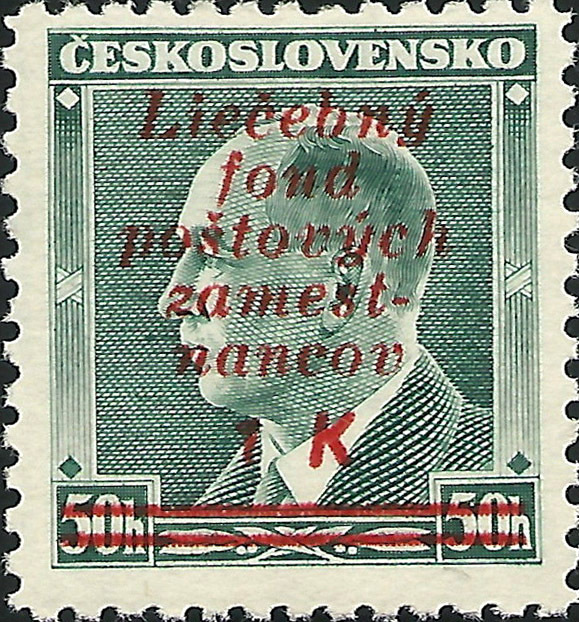 [Below: This is considered a trial overprint which was potentially to be used officially for postage in the first days of Slovakian autonomy. The overprint was created by Milos Bazovsky, applied at the firm Unie Praha and is often simply referred to as the "Bazovsky" overprint. 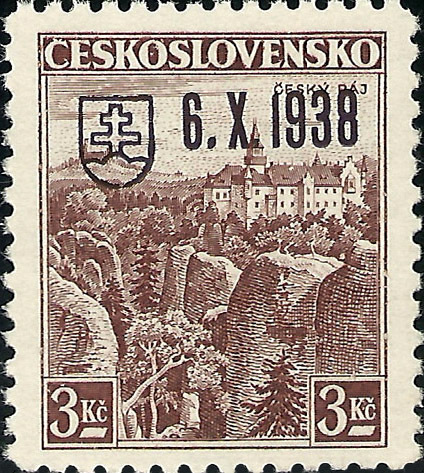 Five similar but distinct types of trial overprint were applied to a range of Czechoslovak stamps in at least three different colours, the overprint types are typically designated "A" through "E". (Slovensko 1939-1945 Specialized catalogue for stamps and postal stationary, Ondrej Foldes, 2007).